Calgary | Montréal | Ottawa | Toronto | Vancouver Lawyers | Patent & Trade-mark Agents Borden Ladner Gervais LLP is an Ontario Limited Liability Partnership. 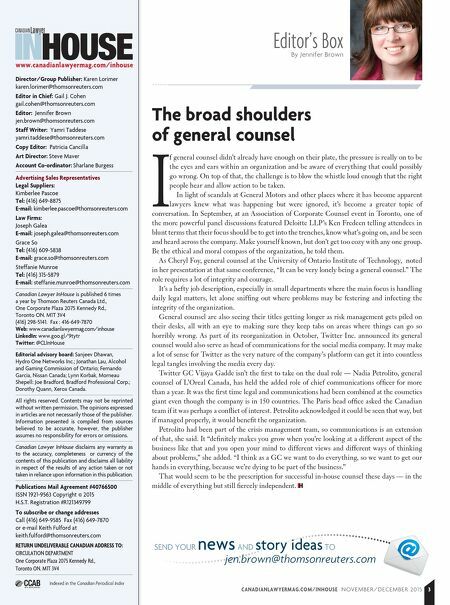 blg.com Class actions don't follow the same rules as ordinary lawsuits, and the landscape is changing every day. At Borden Ladner Gervais LLP (BLG) our Class Action Group has represented clients in some of the most complex, high-profile class action cases in Canada. Our team is one of the largest and most accomplished in the country, providing clients with vast experience and outstanding service across multiple industries and practices. 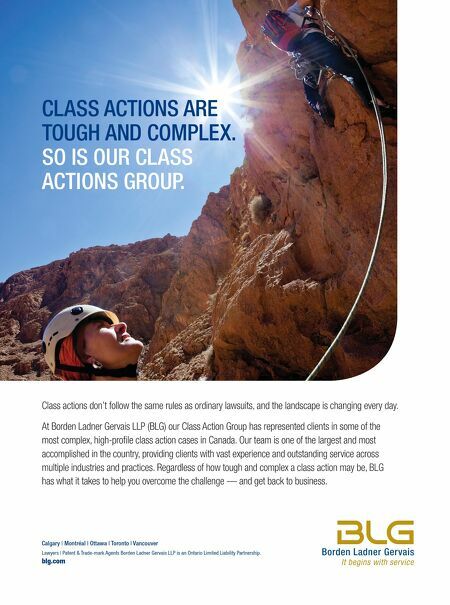 Regardless of how tough and complex a class action may be, BLG has what it takes to help you overcome the challenge — and get back to business. CLASS ACTIONS ARE TOUGH AND COMPLEX. SO IS OUR CLASS ACTIONS GROUP.